MPassport Seva App : MPassport Seva Project, being executed by Consular, MPassport Seva App and Visa (CPV) division of the Ministry of External Affairs (MEA), Government of India, MPassport Seva providing all the Passport-related services to the Indian Citizens in a speedy, convenient and transparent manner. MPassport Seva is one of the largest projects of the Government of India under the National e-Governance Plan (NeGP) being executed in public-private-partnership mode with Tata Consultancy Services (TCS) as the private partner. MPassport Seva project is already operational and servicing citizens through 77 Passport Seva Kendras across India. 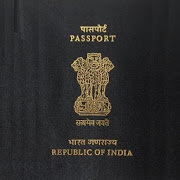 MEA with a view to provide mobile ennoblement of public services, has launched a Mobile Application ‘mPassport Seva’ to offer a wide variety of services to smartphone users such as Passport application status tracking, locating the Passport Seva Kendra (PSK) and general information on various steps involved in obtaining a Passport. Note – Select the Passport Office from the list as per the city in which you are residing. The new process allows citizens to apply for a new passport from anywhere in India. This means if you are hometown is in Lucknow and you stay in Chennai, you can apply for a fresh passport or re-issue in lieu of an existing passport from Chennai itself. Note : Think about a unique login ID and check for its availability and then add a strong password. (This process is similar to opening an email ID). You can also keep your email ID as a login ID for the app. Note – This will come handy when you forget your password. Note – After the confirmation , add the text written inside the small image (Captcha code) and hit submit. Note – You will then have to activate the account by checking for the email sent by the passport office and clicking on the verification link. Note – On clicking the verification link, you will be directed to a webpage and you will be asked to enter your Login ID for confirmation. Note – Then go to “Existing User” and enter your Login ID followed by the password and Captcha code. After that you will be greeted with a screen saying Apply for Fresh Passport along with other option. Note – Click on Apply for fresh passport, fill in the form and follow the steps shown on the app. Note – You can opt for digital payment services while applying for a new passport. Note – After filling in the form, you will have to fix an appointment to visit a Passport Centre in your city for document verification.